Israeli AMOS-4 satellite successfully launched from Russian facility. A rocket carrying an Israeli communications satellite has been successfully launched from a Russian facility in Kazakhstan, Israel Aerospace Industries (IAI) said in a statement on Sunday, the AFP news agency reports. It said that the AMOS-4 satellite lifted off from the Baikonur cosmodrome atop a Russian Zenit rocket on Saturday night. The 4.3-ton AMOS-4, which cost roughly $365 million, will provide "broadcast and communication services to Europe, the Middle East, the United States east coast, Africa, Russia, and southeast Asia," IAI said. Israel has previously had three communications satellites sent into space, the last being the AMOS-3, launched from Kazakhstan in 2008, also on a Zenit. The three supply communications services in the Middle East, eastern Europe and Africa. 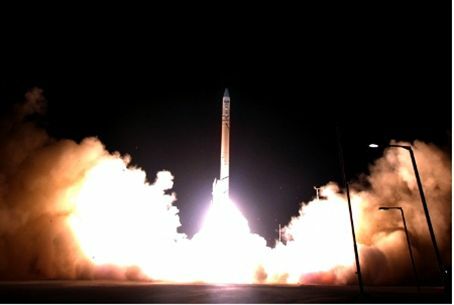 Israel also has its own Shavit rocket which has put six spy satellites into orbit, most recently the Ofek-9 which is reportedly capable of monitoring Israel's arch-foe Iran. Israel, which has the Middle East's sole, albeit undeclared, nuclear arsenal, is also believed to have a stock of ballistic missiles capable of carrying nuclear warheads.